The Great Hospital founded in 1249 lies beside the Norwich Cathedral precinct. Historic buildings including St Helens church, cloisters, The Master’s house, refectory and Great Hall are arranged around a series of courtyards. The practice carried out detailed analysis of the historic fabric and prepared a number of feasibility studies to successfully bring together the many interested stakeholders on this project. 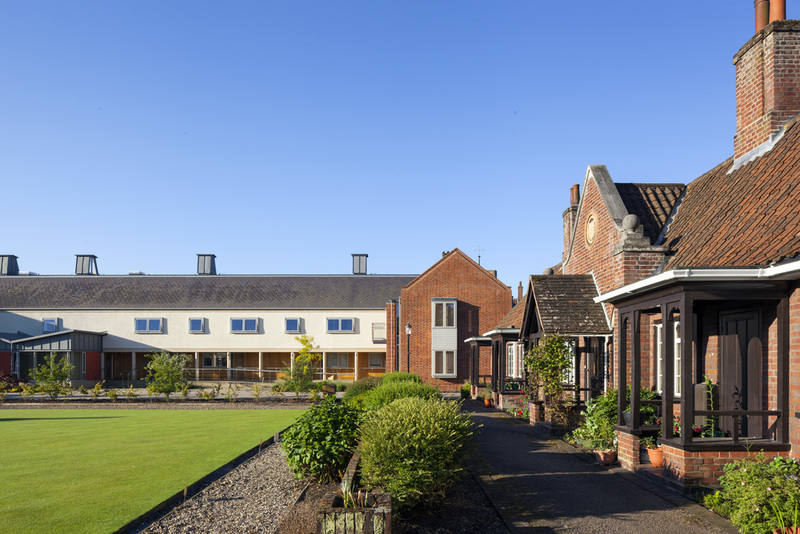 The new residential building of 18 flats for the elderly replaces early C20 accommodation, creating two new courts in the centre of the historic core. The building is ‘C’ shaped in plan with a new cloister created at ground level. 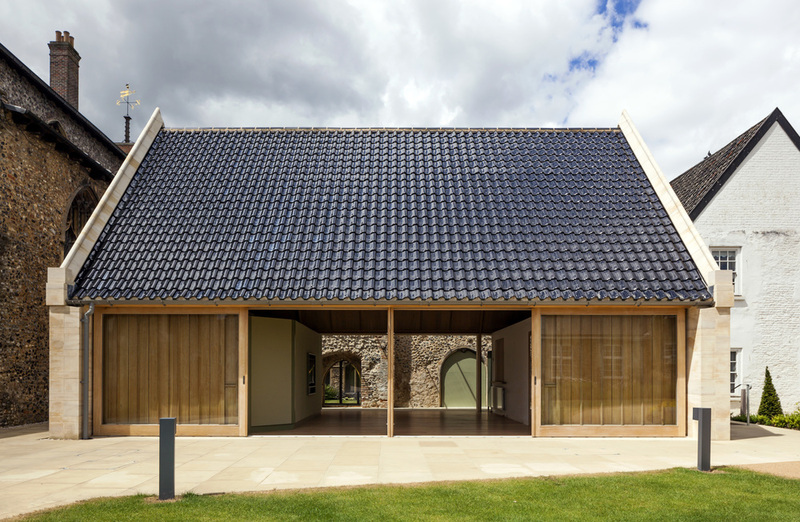 The main entrance is centrally placed beside a small glazed pavilion with a gull wing roof containing a sitting area. The entrance hall leads through to the central court and a new community hall placed against the mediaeval cloisters, with ancient doorways opened up to reveal the original cloister garden and church. The new residential wings are designed to allow light and natural ventilation directly into the centre of each flat with cowls at roof level, creating vertical elements relating to the high Victorian and medieval chimneys on the surrounding buildings. The elevations are of face brick, stone detailing, lime render and welsh slate.